Aside from its extensive SAV SUV lineup, BMW is about to annoy brand purists in another way with the launch of the redesigned 1 Series, which will be front-wheel-drive. 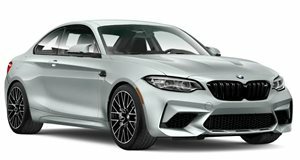 While BMW loyalists want rear-wheel-drive cars, times are changing with the 2 Series Gran Coupe - a model that will share the 1 Series' FWD platform - expected sometime next year. BMW has just released these images of a nearly production-ready 1 Series undergoing final testing as part of an effort to convince skeptics it’s a "genuine BMW with an individual character.” BMW promises improved torsional rigidity thanks to the use of additional struts like a standard rear-end "boomerang strut”. 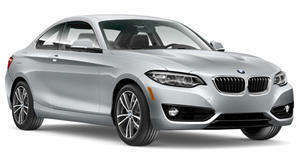 Under the hood is a new turbocharged 2.0-liter inline-four that will offer up to 306 hp in the M135i xDrive. Hopefully that same engine will be offered in the 2 GC. Same goes for the xDrive all-wheel-drive system. We’d be very surprised to not see both. Now, we all know FWD cars are typically not the most fun to drive, but BMW promises the new 1 Series will be a blast. Many new electronic controls are being incorporated like the "actuator continuous wheel slip limitation” technology first used on the i3. This system combines the traction controls into the main engine-management computer instead of a separate controller. BMW claims this will transmit signals three times faster and the driver will perceive traction control intervention 10 times faster than in previous systems. Brake intervention will also be utilized to reduce power understeer and induce yaw to help increase agility through bends. Sounds good so far. If there’s any automaker today that can make FWD fun without a ridiculous amount of torque steer (that’d be you, Mazdaspeed3), then it’d be BMW. And just in case you’re concerned, the next-generation 2 Series coupe will remain rear-wheel-drive.